It's been a while, hasn't it? I'm back in Iowa for the week, prepping for my sister's wedding (and also working from home, probably a little too much…but the week before NYFW isn't the best week to take off work when your job is in the fashion industry and you write a semi-fashion related blog!). To be honest, I probably could have gotten a post together for the last few days, but I've been enjoying stepping back from technology when I can…and apparently the outside world, since I realized this morning I hadn't put a stitch of makeup on since Saturday. It's weird to think once I get back to NYC, summer will essentially be over—September truly is a month of madness, and I don't have a weekend without something on the calendar until mid-October right now (don't worry, I'll be sharing some of the more fun trips & plans here!). Pinching myself because yes, I just wrote OCTOBER already. I vowed, as I always do, to make this summer a great one, and for one of the first times in recent memory I'm pretty satisfied with how it turned out, but I wish (as I'm sure everyone does) we could tack a few extra weeks on the end…I need a couple more beach days, rooftop happy hours and summer picnics al fresco, please. Lauren and I were strolling towards the park and came across a fresh-fruit stand with the most delicious smelling fresh pineapple. So, we bought one, and yes, I dressed it up a little…cliché but fun(ny), no? And it's great that you're relaxing before NYFW madness, it's super crazy over in my office too - fashion show samples EVERYWHERE!!!! I can not believe that summer is coming to an end, but so great that you had a great summer! 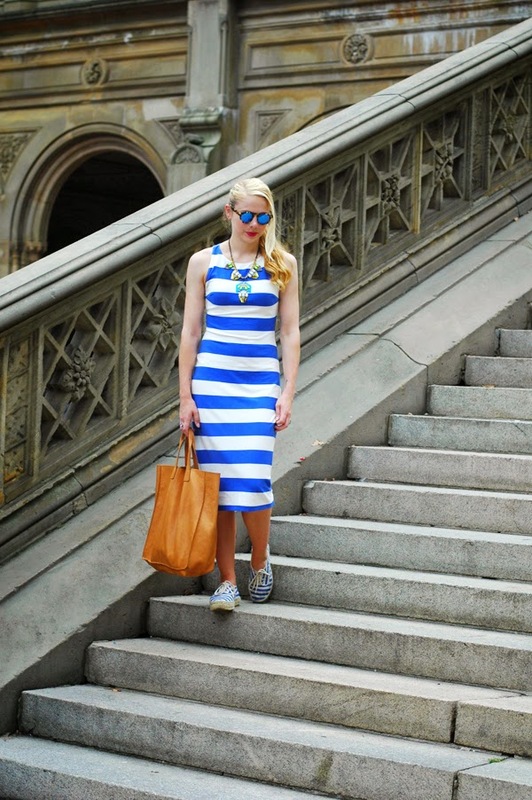 Love your striped dress and espadrilles! gorgeous pics! 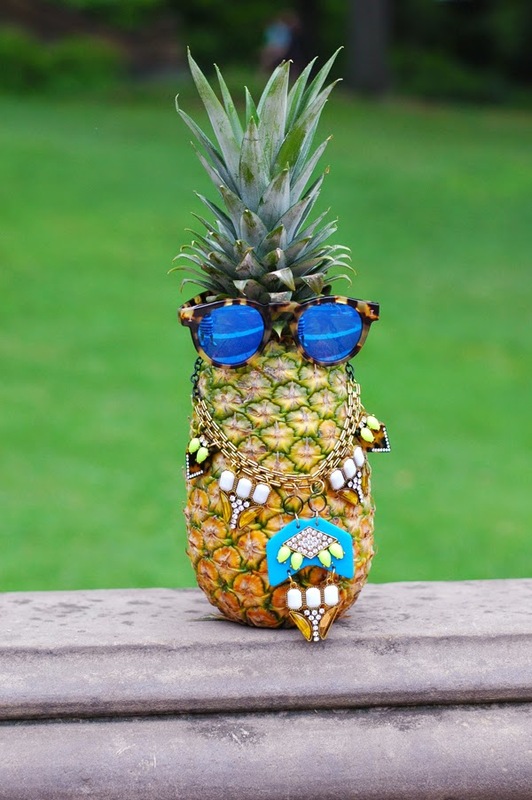 love that pineapple.